Tesla is dropping the cheapest version of the Model S sedan from its line-up. It also happens to be the only rear-wheel drive version of that car now on the market. 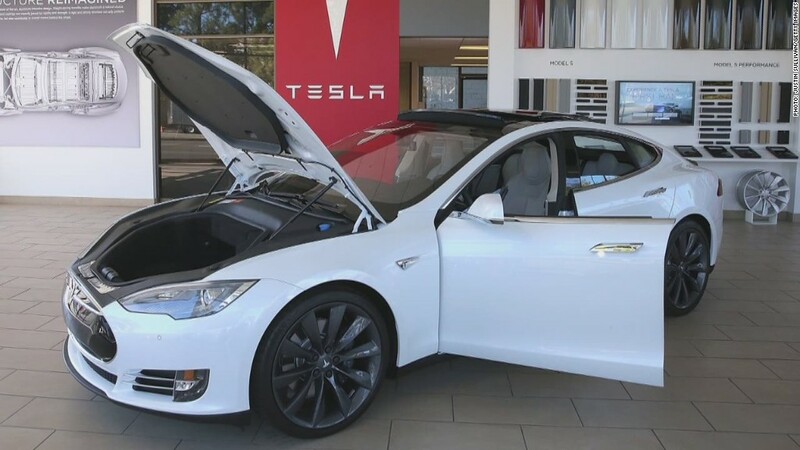 Tesla's Model S 75 costs about $70,000, making it the least expensive Model S currently sold. It has a 348 horsepower electric motor and an EPA-estimated driving range of 249 miles. Now Tesla (TSLA)'s least expensive Model S will be the 75D, which only comes with all-wheel-drive and starts at $75,000. The S 75D has the same size battery pack as the discontinued model but slightly longer range. The D stands for "Dual Motor," since there are separate electric motors for front and back wheels. For shoppers looking to pay much less -- and who don't care about having all-wheel-drive -- Tesla's smaller, less luxurious Model 3 sedan recently went into production. Starting prices for that car, currently only available with rear-wheel-drive, are about half that of the Model S. An all-wheel-drive Model 3 will be available next Spring. All-wheel-drive Teslas get better traction on wet or snowy roads. They also have slightly more range because they use power more efficiently. All-wheel-drive is a popular option on all sorts of luxury vehicles, according to the automotive Web site, KBB.com.